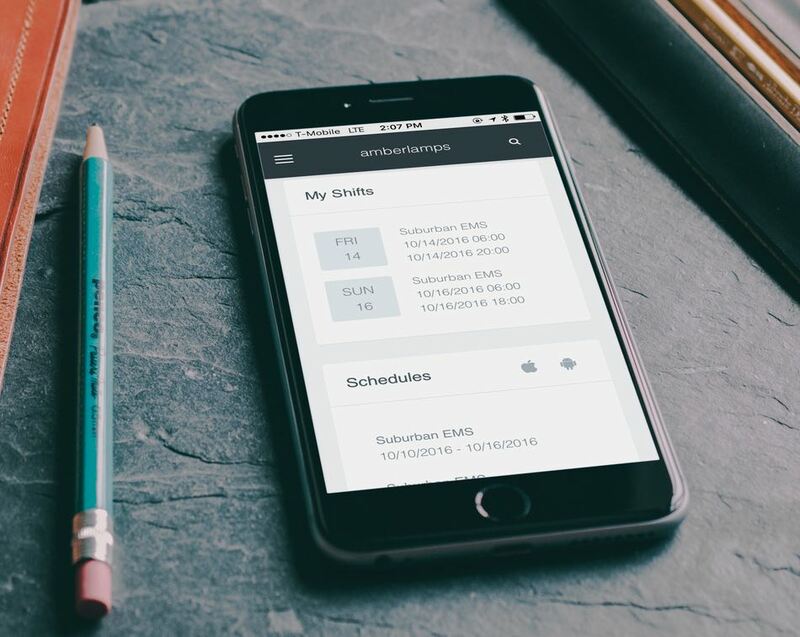 You and your employees can easily access your private application from a mobile device, which allows your employees to review their upcoming schedules, calculate worked hours, keep track of certifications and communicate with staff with built-in messaging. Setup a Kiosk at your place of work to allow your employees to clock in and clock out from a designated locations. You can have as many kiosks as necessary if your business has multiple locations, even if it's across the country. This also allows for employees to be able to review their worked hours on the go. As shown. 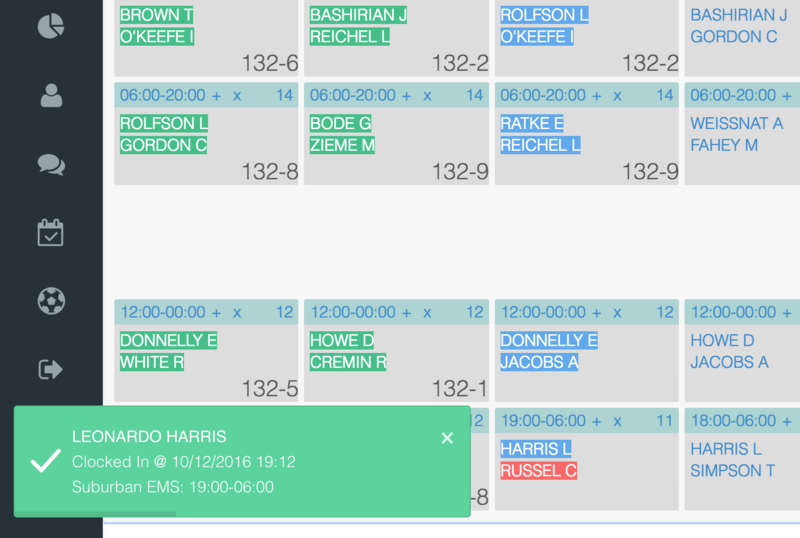 Instant clock-in and clock-out notifications will keep you informed when your employees start and end their shifts. You can also easily specify which employees have access to this feature. Don't worry we'll help you get up and running. giving you totals of worked hours for a giving pay period. We offer an all-in-one cloud based employee management system, which includes scheduling, time keeping and payroll reporting. Our Cloud based application ensures you and your employees have access to your private portal from anywhere! Even if you're on vacation you can manage all aspects of your business. We've partnered up with multiple cloud service providers to ensure availability. Our application is built for a modern enterprise with scalability and security in mind. We use top tier technology such as Amazon Web Services, CloudFlare, Google and Digital Ocean to provide you with outstanding performance, security and peace of mind with continuous backups. Out of the box, our app offers a variety of customizable options - which meet most business' logic, although we can taylor our product specifically for your business, be sure to contact us! Will this app fit my business? We've designed our system to be flexible to fit a variety of businesses. Although, it's designed for businesses which have one or more employee per shift, such as emergency medical services, police departments, armoured transportation services, limosine services, delivery services and many more. But, even if your business is a small office, our software has you covered! Can it handle multiple departments? 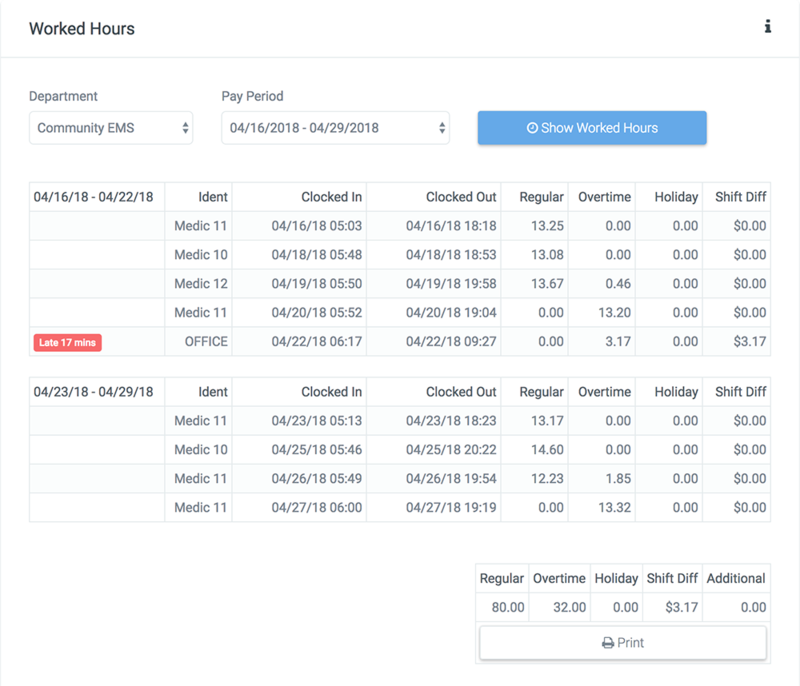 Our app tracks worked hours including overtime and holiday pay. Since many of our clients use different methods of handling employee payroll we simply give you grand totals of worked hours, which you can then input into your payroll system, such as QuickBooks or write checks. Can this app help us keep current with employee certifications? Yes! We understand that your business sometimes requires your employees to hold certain certifications, such as drivers license, medical certifications and variety of clearances which often need to be renewed. We've made it easy to manage these certifications and documents. Give our service a try without the big price tag and no upfront costs! No contract, month-to-month service and plus 21 day free trial! We understand it's a big step forward to convert the way your business manages employees, schedules and calculates payroll - which is why we would like to demonstrate our product as well as answer all of your questions. Want to play with the app first? No problem. We're already helping many local businesses with their productivity and management needs right here in Philly. We'd like to help your business too!